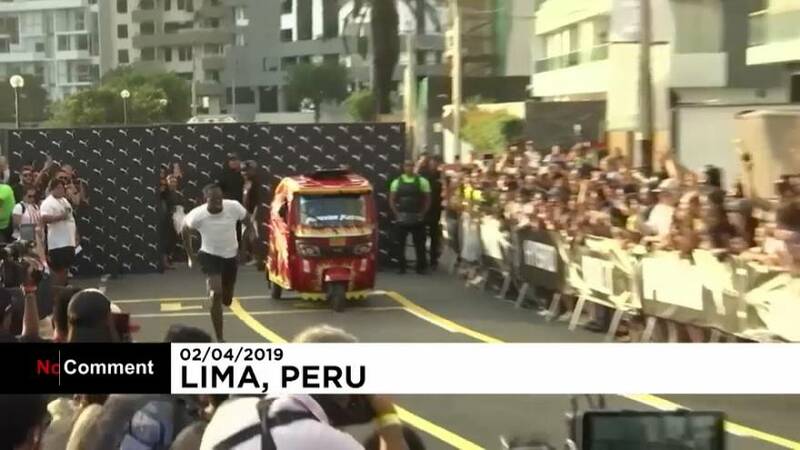 Eight-time Olympic gold medalist Usain Bolt competed against a motorcycle taxi in the Peruvian capital Lima on Tuesday... and won. Bolt appeared to easily beat the colourful vehicle. The retired Jamaican athlete then greeted the hundreds of cheering fans who came to the event, before making his signature gesture.